Dual SIM device run Android 7.0 (Nougat), have a 12-megapixel rear camera with 1.25μm pixel size, f/1.8 aperture and a secondary 8-megapixel camera for capturing depth information, optical zoom and also has portrait mode. On front there is 20-megapixel front-facing camera, There is also a fingerprint sensor on the back on both the phone and these come with AK4376A Hi-Fi audio chip for 3D surround sound experience. 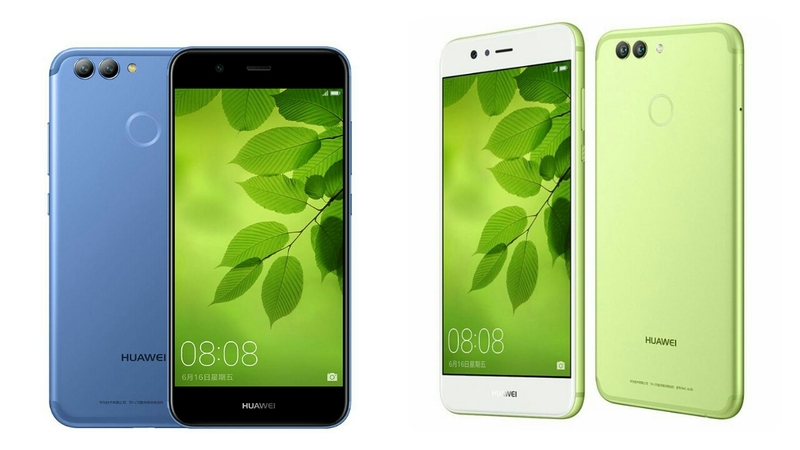 Huawei Nova 2 and Nova 2 Plus come in Aurora Blue, Grass Green, Gold, Obsidian Black and Rose Gold colors. The Nova 2 is priced at 2499 yuan Nova 2 Plus is priced at 2899 yuan.These smartphone goes on sale in China from June 16th.